How Does Being High Risk Affect Your Business? Leap Payments has spent years specializing in catering to high risk businesses in many different industries. There are many reasons why a business may be considered high risk by a credit card processor’s bank. Some of these reasons are obvious, others are not. The good news is: Not all processing banks label high risk businesses the same. Most credit card processors only work with one or two banks to get their merchant accounts approved. Here at Leap Payments, we have created an extensive network of over 15 partnering banks to provide high risk merchant services. This allows us to provide high risk merchant accounts to countless more industries than other providers. All to often, high risk businesses are put in a bad position with their processor at one point or another. 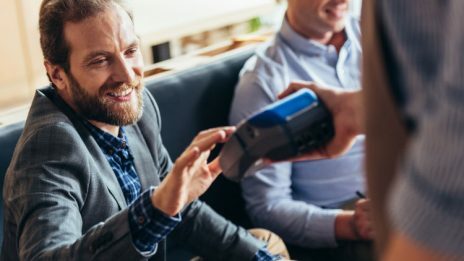 Looking for the best high risk merchant account provider can be tedious, but finding the right processing partner will make all the difference. If you are operating a business inside a high risk industry, you should avoid generic merchant service providers. This will result in wasted effort, hits against your credit and, ultimately, declined applications. Even if you do get an approval, if your industry is not supported by the processor’s bank, often, merchants will see their accounts closed within a day or two. Skip the song and dance of declines, closures and searching for new providers. Leap Payments is specialized in high risk merchants accounts. We will get your account approved to accept credit cards as payment and most importantly, keep your account open. We have created an all-inclusive high risk business list for your reference. If your business falls under one of these categories, contact us immediately to discuss your processing options. Reference this high risk merchant list to see if your business would be considered high risk. If you do not see anything that fits your business model, don’t worry; there are certainly a few industries that did not make it onto this list. Give us a call and we will develop a high risk payment processing solution specifically fit to your business’ needs. The industry that a business is in and the products they sell have a large impact on how high risk it is viewed by banks, but it is not the only determining factor. Even if you’re running a business that is considered low risk, there are factors that might place you in the high risk category. Businesses in any industry could face added difficulties obtaining processing if they meet any of the following factors. If you are on the terminated merchant file (TMF), you are essentially barred by banks from getting a merchant account. A high chargeback ratio is also a huge determining factor for any business, no matter the industry. If your chargeback ratio is sitting higher than 1%, you are considered elevated risk. Anything above 3%, it because nearly impossible to find a legitimate, domestic payment processing solution. The application process for high risk merchants tends to be a little more strenuous than standard business types. There is often additional supporting documentation that is needed to be submitted with the application, in-depth website reviews and potential holds and reserves. Since the banks are looking to reduce the amount of risk they take on, they dig around to make sure nothing else of concern is going on. All of this can lead to a longer approval time. However, when you partner with an experienced high risk provider that has been operating with high risk businesses for years, there is hardly any downtime. The specific requirements for approval vary for each industry and situation. Contact us and you will be assigned a dedicated account representative who will give you more details about what your business will need. Click here to get more details about E-Commerce & Website Requirements. All industries and processing banks are different, but our dedicated sales representatives will walk you through every step of the application process. Apply Now. Operating a business in the high risk industries can be rewarding but also difficult. Regardless of the decision by banks to place these harsh limiting labels on industries is justified or not, the end result is the same; Getting quality high risk merchant services is not a walk in the park. Luckily, you should be better equipped when looking for credit card processing after reading our post. To summarize: The experience of a payment processor specialized in your industry will make all the difference in your accounts success. Use our references to better learn where you are on the high risk spectrum before looking for a high risk merchant account. Be prepared to provide additional documentation with your application. Keep your chargeback ratio as low as possible. Check your site using the guidelines we have laid out before it gets sent to the banks underwriting team. 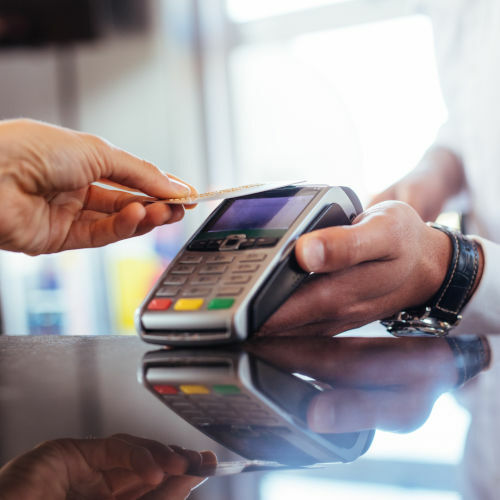 Even if your business type is on the high risk merchant list, you can still process credit cards by working with the high risk merchant service providers at Leap Payments! Contact Us & Get Your High Risk Merchant Account!